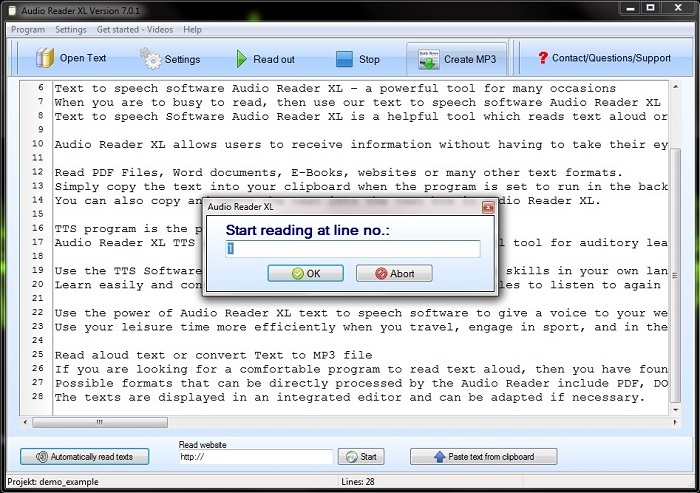 Convert instantly Text to Speech with our TTS Reader "Audio Reader XL"
TTS Reader instantly and clearly reads out your text, EBooks or PDF loud by using natural sounding of female and male sounding. The TTS Reader Windows 10 also understands multiple accents and languages and remembers the voices, texts, and many more features. The software is great and fun to choose, all you need to do is to mark your text and play. The software is great for listening in the background and for proofreading. TTS Reader Windows 7 is also a great tool for kids as it can help them to learn quickly. People with reading difficulties or visually impaired should adopt this software it can help them to get the desired information without necessarily reading. The Text to Speech Software facilitates high quality and natural-sounding voices originating from different sources. There are female and male voices that are integrated with different accents, and it is upon the reader to choose their preferred voice and accent. After choosing your preferred voice and accent, the next step is to insert the text and click to play, and a synthesized speech is generated that is enjoyable to listen to. The TTS Reader free download also remembers the text or article inserted and the last position even when paused. In addition, TTS Text to Voice Software also remembers your last text even if you close your browser by mistake. This helps you to come back and continue listening to your text from where you lastly stooped. The TTS Reader free download works well on safari and chrome on mobile apps making it an ideal tool Voice aloud Reader tool for your articles. The TTS Reader download in many ways is advantageous compared to recorded podcast. First, users have unlimited high-quality free content that includes Text to MP3, books and high-quality articles that are not available on podcasts. Secondly, the TTS Reader download is not expensive to use and maintain compared to other software which makes it an ideal tool to be used on a day to day basis. The software can also be used offline which means no data charges will be incurred helping users to save money. Users can use the TTS Reader download while walking or driving as it is professionally designed to meet all your requirements. The software is simple to use and can be used by new learners who want to learn foreign languages or get any desired information. 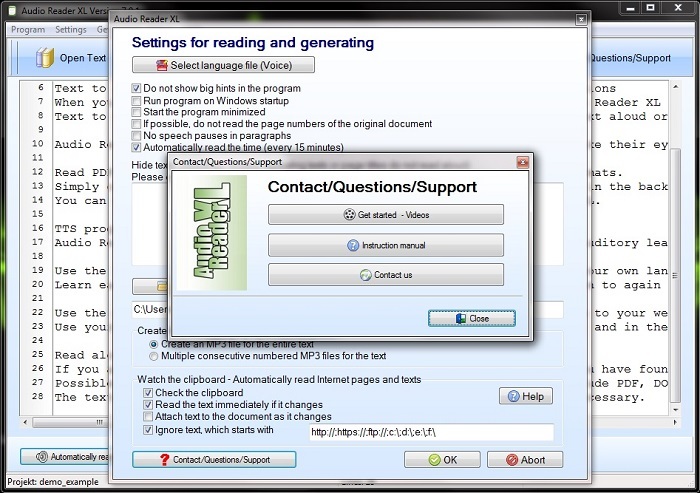 The TTS Program is the ideal tool for Text to Speech. The software is also an ideal tool for educational institutions as it can enhance learning. TTS Reader Windows 10 the helper for your business.